Fashion in the past 10 years has been nothing short of exciting. Here's a look at the movers and shakers, history makers and trends that defined this decade. The new democracy: Democratization came in the form of high street/ designer collaborations such as that of Karl Lagerfeld (2004), Stella McCartney (2005), Viktor and Rolf (2006), Cavalli (2007), Commes des Garcons (2008), Sonia Rykiel (2009) and most recently, Lanvin (2010) for the high street brand, H&M. Other high street brands were not left out; Christopher Kane, Emma Cook and Peter Jensen, worked with Topshop to create capsule collections, while Jil Sander teamed up with Uniqlo, and Alexander McQueen, Thakoon, Anna Sui lent their services to Target. Most recently, Valentino has also partnered with Gap to create a 7 piece capsule collection. We as consumers can't be happier with this new revolution. Designer collaborations have been much easier on our pockets, and I know that I'll definitely be lapping up the items from these collaborations for a long time to come. Insider info: For a long time, the fashion industry has been very hush-hush about what goes on behind the scenes. But this decade has seen films such as The Devil Wears Prada (2006) and Coco Avant Chanel (2009) as well as documentaries like The September Issue (2009) offering us a peek into the lives of fashion insiders. The TV shows have cashed in on this trend too, with reality shows like America's Next Top Model, Project Runway, Running in Heels, Kell on Earth, The City and Fashionista, showing us what it's like to be a part of this glamorous industry. Let the people speak: The rise of bloggers like Rumi, Jane from Sea of Shoes, Susie of Style Bubble and BryanBoy have definitely shown the fashion world that bloggers are a force to be reckoned with. On our tiny little island, we've also seen the rise of our very own contingent of fashion bloggers, from street style blogs like La Mode Outre, to dedicated fashion blogs likeBagaholic Boy and Wottoncool, bloggers are definitely taking the fashion world by storm. One full circle: We've had an array of crazy fashion trends since the new millennium, but there are those like the skinny jeans and mini skirt that have made all the difference in our lives. Trends have really come one full circle, as designers explored the military trend, boho chic, romanticism and of course the (sometimes done to death) grungy rocker chick look. Hemlines have been shortened and tummies tightened with mini skirts and pencil skirts, but these have made way for swing skirts, and midi and maxi lengths this season, and I'm speculating that they'll be here to stay for awhile. The 'It' bag: There was a time not too long ago when 'It' bags were a must have. Mulberry Bayswater, Chloe Paddington, Fendi Spy, Marc Jacobs Stam, Balenciaga Motorcycle and who can forget the Anya Hindmarch 'I'm not a plastic bag' tote that got the world into a frenzy, with queues and knock-offs sprouting up everywhere; these were just a few names on every woman's lips, and this was definitely the decade of the 'It' bag. Farewells: We bade our 'adieus' to history makers: Yves Saint Laurent, one of the greatest names in French fashion in the 20th century and Alexander McQueen, celebrated British fashion designer. We also said farewell to famous fashion photographer Corrine Day who passed on just recently in August this year. Fashion's new blood: While we said our goodbyes, the fashion industry was injected with new blood to take up the legacy left behind by their predecessors. Creative directors Tom Ford, Christopher Bailey and Phoebe Philo all became household names for the house they helmed. The decade also saw the entry of many young fashion designers such as, Thakoon, Zac Posen, Jason Wu and Alexander Wang and most notably Marc Jacobs, who has been utterly brilliant and a visionary in his own right. Singapore labels and designers go global: While Singapore has had few talents who have made their mark in fashion on a global scale, there have been some who have broke this barrier. Ashley Isham, fashion designer, is one of them. His claim to fame being his label 'Ashley Isham' and having dressed several Hollywood celebrities. Jo Soh of Hansel is another designer who has made her name known abroad, having shown her collection on the Australian runways and with her label offered internationally. There's also alldressedup, an international label founded by Singaporean Tina Tan- Leo, which has shown at New York and Paris Fashion Week. The new fashion icons: The ladies we all want to emulate now include an exhaustive list of celebrities such as Sienna Miller, Kate Moss, Sarah Jessica Parker, Victoria Beckham, Mischa Barton (during her OC days), Gossip Girls - Blake Lively and Leighton Meester. Then of course there's Alexa Chung, Olivia Palermo, Chloe Sevigny and more names that could hardly fit into this page. One thing's for sure, they're all vying for the title of fashion icon of the 21st century. Singapore gains worldwide recognition: Ever since the brand Mango landed on the shores of Singapore, the entry of high street brands into our tiny nation has not ceased. Zara, Topshop, Dorothy Perkins, Warehouse, Miss Selfridge, Bershka and River Island are but just a few international names which have already established themselves in Singapore. 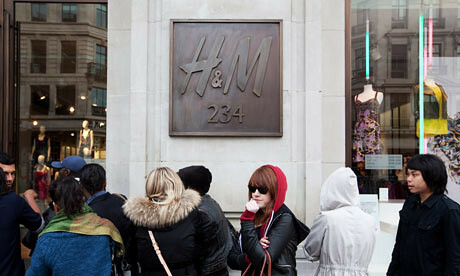 And who can forget H&M which is due to open its first outlet in Singapore next year? The world has finally started to notice the little red dot on the map, as Singaporeans have the power to spend and finally begin to appreciate the latest fashion and trends. While these are just some moments of the decade that was memorable for me, I'm secretly excited about 2011, and what the new decade will bring!